'The Watercooler' creator Mike Minogue has been working in film and television since 2003. Inspired by the hilarious stories of friends and seeing a lack of these tales being told anywhere on television, he began writing 'The Watercooler' in 2008. The first incarnation was a 30 minute sitcom but, unable to make it work, he left it to rot in a drawer until 2015 when he dusted it off and tried again. A late comer to the acting game, Mike made his debut in the 2008 feature 'Separation City'. His performance in 2009's 'Rage' gained him a nomination for Best Supporting Actor at the NZ Film & TV Awards and it's been downhill ever since. Mike is best known for his roles in films like 'What We Do in the Shadows', 'Hunt for the Wilderpeople' and his lead role on TV’s ‘Wellington Paranormal’ for which a season 2 has just been announced. Jonny Brugh has been a comedian and actor for well over 20 years. His stand up duo ‘Sugar and Spice’ won a 'Chapman Tripp' award for 'Best Comedic Performance' in 1996 as well as gaining the 'Billy T Award' in 1998. Jonny has enjoyed a prolific acting career appearing in TV shows including 'The Jaquie Brown Diaries’, ‘The Cult’, ‘The Almighty Johnsons’, ‘Shortland Street’ and can currently be seen starring as ‘Monty’ in the Australian/New Zealand show ‘800 Words’. Jonny’s film career is leaking credits from his Moa Award Nominated performance as Carl the Therapist in ‘How to Meet Girls From a Distance’ to appearances in ‘Tangiwai’, ‘The Chronicles of Narnia’ and the soon to be released ‘Mega Time Squad'. Jonny is best known for his role as ’Deacon’ in the cult-hit and critical darling ‘What We Do in the Shadows’ from directors Taika Waititi and Jermaine Clement. His performance as Deacon gained Jonny his 2nd Moa Nomination for 'Best Supporting Actor'. Mathew Knight is a cinematographer with twenty years experience across documentaries, drama series, commercials and feature films. In his career he has shot documentaries for BBC World and National Geographic in exotic locales like China, Russia, Mongolia, Tibet and Vietnam. He's been involved in massive blockbusters like 'The Avengers' and 'The Hobbit' and even worked with Spielberg on 'Tintin's Secret of the Unicorn'. His feature cinematography credits include the amazing 'Pavlova Western' 'Good For Nothing', the confronting docu-drama 'Belief: The Possession of Janet Moses', and the 2015 orchestral concert film 'No Man's Land' for composer John Psathas. But all of that pales in comparison to his time spent on 'The Watercooler' where he was cinematographer on episodes 'The Suitcase' and moody, claustrophobic 'The Sauna'. How can he ever top that? Desray Armstrong has accumulated credits the length of her arm over the years, largely in feature films. Her many credits include 'Hunt for the Wilderpeople', 'The Rehearsal', 'The Light Between Oceans', 'Z For Zachariah', 'Slow West', and 'What We Do in the Shadows'. 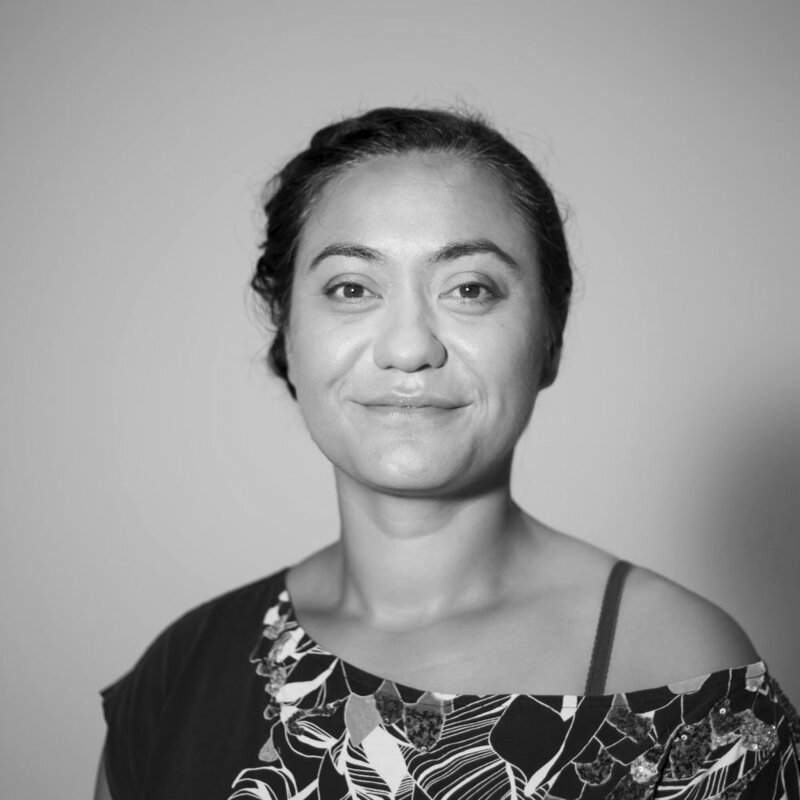 From 2007-2011, she and producer/director Chelsea Winstanley ran NZ production company StanStrong Ltd with a focus on creating compelling, conscious and informative content with a Maori worldview. Desray has produced three award-winning short films that were amazing. If you can name one of them she’ll buy you a beer. Her skills as a Producer on ‘The Watercooler’ were invaluable and it was no surprise to the team when she was awarded 'Woman to Watch' at the 2017 'Women in Film & Television Awards’. Abby Damen landed her first professional acting gig in Gibson Groups’ Paradise Cafe in 2008. She then secured a role in KHF’s Emmy Award winning web series, Reservoir Hill, which led on to a role as a Norwegian stalker in TV2’s first ever ‘whodunnit-rom-com,’ Girl vs Boy. Most recently, she helped produce and starred in Chronesthesia which opened this year's NZIFF. You can see Abby on your screens on October 2nd on TVNZ's Doubt: The Scott Watson Case and in another web-series The Māori Side Steps. When she’s not on set, Abby is either indulging in a game of netball or a walk up Mount Kaukau, running her business Shut Up & Dance or chowing down on a plate of spinach and eggs at one of her many favourite Wellington cafés. Tim Foley trained at Allen Hall Theatre at Otago University (last century) and at Toi Whakaari (at the dawn of the current one). After a successful career across film and television Tim retired from acting in 2014 so his work in 'The Watercooler' is somewhat of an anomaly. His performance in 'The Sauna' is one for the ages. And one he will never live down! He now works in IT and lives in Haruru Falls in the winter-less north of New Zealand. And doesn't visit saunas. Brandon Te Moananui is a talented and relatively fresh-faced member of 'The Watercooler' team. Over his 5 years in the industry he has worked on short films, web series, television and online content for companies based in Australia and New Zealand. Over the last three years he has been mentored by Julian Arahanga at Awa Films and his credits include ‘Songs From The Inside’, ‘Behind the Brush’ and ‘Makotuku’. He is currently producing his project ‘The Maori Side Steps’ which has been funded by Te Mangai Paho. Brandon was cinematographer on 2 episodes of Season 1 of 'The Watercooler', ‘The Nurse’ and ‘Cricket’. Andy Campion has been working in film for the past 8 years. His directing work has focused primarily on action/comedies which includes the likes of short film 'Hot Rob' (2012) and web series 'Jack and Chops' (2014). In 2015 he was the directing intern on International children's show 'The Power Rangers' where he got the opportunity to work and train under highly experienced directors. Andy has also directed several NZ On Air music videos for the likes of PNC and David Dallas. 'The Watercooler' has proven to be the perfect fit for Andy's film making style as it involves comedy and high production values. Andy has been involved heavily in the series over the past year with story-boarding and co-directing 3 episodes with Mike Minogue as well as editing 4 of the 5 eps. It has been a blast from start to finish and Andy's pumped for Season 2. Olly Coleman started his video trade as a Grip in Wellington’s commercial film industry (may it RIP) in the early 90’s. Credited as a key member of the multiple Academy Award winning miniatures shooting team for 'The Lord of the Rings' trilogy and 'King Kong' where Olly gained his VFX chops, he also directed a number of award winning music videos for local artists for free in the vast amounts of spare time he didn’t have in the early 2000s. Currently Olly is “Head of Video Production” at Sputnik, a boutique Wellington PR/content marketing agency that has a video team of one. 'The Watercooler's first episode 'The Mattress' is Olly’s comedy directorial debut. All VFX work across the series was done by Olly. In his downtime… LOL... he can often be found tinkering with his improbably large collection of classic and vintage chainsaws. Cohen Holloway is a successful dramatic actor and comedian. Yes you can do both. He is best known for his comedic turns in all of Taika Waititi's films from 'Eagle vs Shark' and 'Boy' to 'What We Do in the Shadows' and the record-breaking 'Hunt for the Wilderpeople'. At the same time, his talent for drama has seen him critically praised for his lead performance in the NZ Western 'Good for Nothing' while another highlight was receiving the Actor of the Year gong at the 2009 Nz Film and Television Awards for his performance in 'Until Proven Innocent'. Cohen is currently broke so please watch every episode of 'The Watercooler' and tell your friends about it too.